ROME – Italian tennis players Daniele Bracciali and Potito Starace have been found guilty of match-fixing by the Tennis Integrity Unit and consequently banned for life and 10 years, respectively. Bracciali also received a 250,000 euro fine, while Starace had to pay 100,000 euros. According to the TIU, both players were found guilty of breaches of anti-corruption regulations, one in connection with contriving the outcome of matches, the other in relation to the facilitation of betting on matches. The infringements are alleged to have occurred in Barcelona at an ATP Tour 500 event in April 2011. Starace, 37, has recently retired, but is still banned from attending any events organised by official tennis governing bodies. 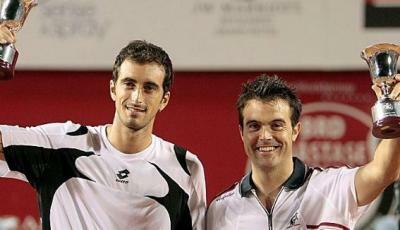 Bracciali, 40, was still playing on the tour, ranked 100th in the ATP doubles ranking. The players, who have entered doubles events together, were banned by the Italian Tennis Federation in 2015. However, due to insufficient evidence, Starace’s ban was overturned, and Bracciali’s reduced to only a year. Both individuals have the right of appeal through the Court of Arbitration for Sport.